“Ann was an absolute delight to deal with right from the very beginning of the process. We were unsure of what we really wanted from our wedding ceremony (beyond it actually being, you know, legal) but Ann was really helpful in guiding us and taking all of our feedback on board to create the perfect ceremony for us. “We found Ann approachable, professional, reliable and full of great suggestions! My husband and I have both been married before and wanted a small wedding and simple ceremony that reflected us. 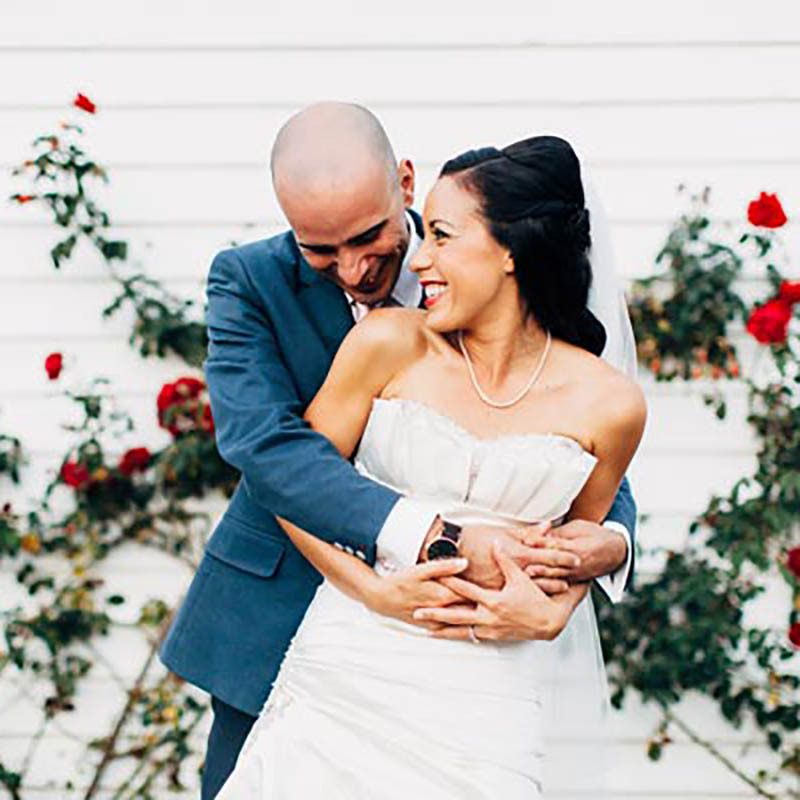 We had only one face-to-face meeting with Ann prior to the rehearsal where we quickly completed the necessary paperwork and spent the majority of the time discussing how we met, our families and what type of ceremony we wanted. Ann’s experiences both professionally and personally meant she was able to quickly understand what we were trying to achieve. From this one meeting Ann was able to email us a draft ceremony with suggested options for vows and readings. We were able to email back and forth as many times as we wanted until we were happy. As we planned our wedding in just three months Ann’s suggestions for local florists and photographers were also a great help. We first met Ann at an open day for Fergusson’s Winery in the Yarra Glen. We knew straight away that this was the destination for our special day. Upon talking to Ann we felt very comfortable with her and thought she would be a great fit for our ceremony. We met with Ann a year before our wedding to discuss us as a couple and how we wanted our ceremony to go. She was very helpful in what we should include and provided examples of vows and readings. We created our own vows which Ann had ready for us on the day which made it easy to refer to if we lost our spot. We also had two readings by friends and family. Ann also asked us each to provide her with some things we loved about each other which she would read on the day. We didn’t know what each other had written so this was a beautiful surprise on the day and a nice touch. Ann also met us at the venue the day before our wedding which really helped with the smooth running of the ceremony and I think helped calmed our nerves. Our ceremony was just beautiful. Ann was very professional in her manner yet warm and approachable, and her heart felt words and well wishes were lovely. All the paperwork was efficiently done so we didn’t need to worry about everything. Ann also gave us a printed copy of the whole ceremony, so we could keep it and reflect. 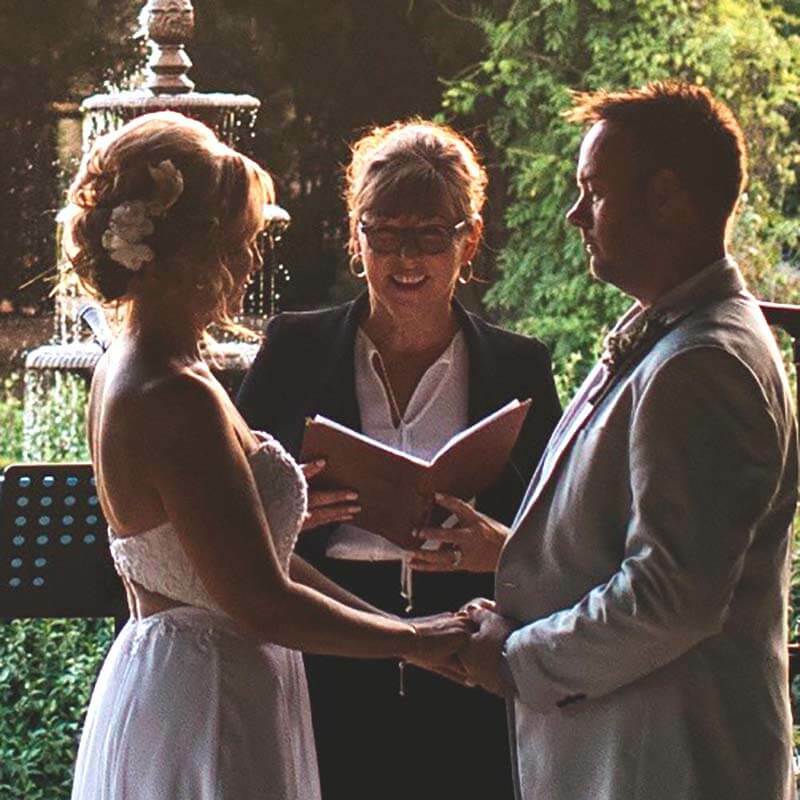 I would definitely recommend Ann’s services as a celebrant, she did an amazing job and made our wedding ceremony perfect.